RTC will be providing coverage of the NCAA Tournament from start to finish. Marshall’s First Ever NCAA Tournament Victory. The Thundering Herd — First Round losers in each of their previous five NCAA Tournament appearances, the most recent coming in 1987 — notched their first-ever victory in the Big Dance this afternoon. Despite playing a “model mid-major” in the form of Wichita State, with its Final Four and high-seed pedigree of recent years, Marshall matched up with the Shockers well at nearly every position and kept the pressure on throughout. There was only one point where the Herd faltered — closing out the last three minutes of the first half — but for the rest of the game, Marshall played like it was the better team. Congratulations to the Herd for breaking through into the NCAA Tournament victory column. The Herd are an Incredibly Fun Team. Head coach Dan D’antoni is like his brother, Mike D’antoni, in the sense that they understand very well that shooting a lot of three-pointers is a good way to win. It may not ultimately win championships, but it can create mismatches especially against teams that may have superior talent or depth. With Jon Elmore‘s bombs-away mentality (more on him below) and the stretch-four Euro game of Ajdin Penava, along with a host of other players who can make threes, the Herd play an uptempo style that just simply gets after it. 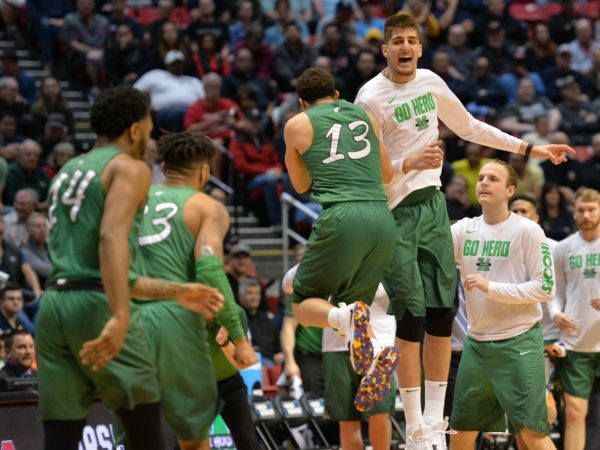 With West Virginia’s pressure defense along with the intense big brother/little brother rivalry between the two schools, Marshall could be poised to become one of the transcendent stories of this year’s NCAA Tournament. Connor Frankamp Gave a Career Performance in the Defeat. There was something off with Wichita State all season long — its defense was consistently lacking, Shaq Morris didn’t get the ball enough, and the move to the American seemed to create some other issues — but senior vagabond Connor Frankamp wasn’t going out without a fight today. The former Kansas transfer notched 27 points on the afternoon, including six important threes, on his way to a career-high game. It was he who gave his team life late when he hit a long three with 46 seconds remaining to cut Marshall’s six-point lead in half. A common thread as we move into the second month of college basketball has been that many of the top non-power conference schools not playing up to the gold standard they’ve set for themselves in recent years. While there are key differences among the following five teams, there are also some striking similarities as to why they have not been nearly as good as we’ve come to expect for these programs. Let’s first dig into the their status. 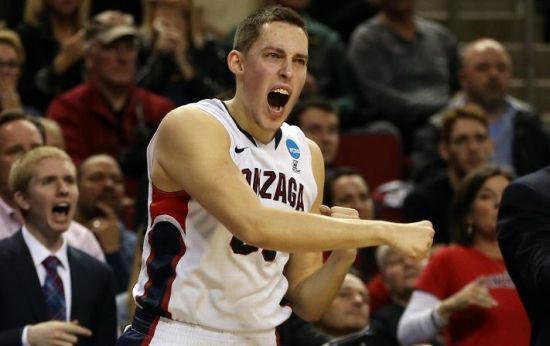 Gonzaga – The four year starting backcourt of Kevin Pangos and Gary Bell is gone and big man Przemek Karnowski is hurt. The Zags are 6-2 but fell in the semifinals of the Battle 4 Atlantis – an event they were favored to win – to Texas A&M and before blowing a 10-point halftime lead last Saturday to Arizona to lose for just the 13th time in the history of the (new) Kennel. They almost lost for the 14th time on Tuesday to Montana in what would have been arguably the biggest upset in the history of the building, but scored the final five points to survive. Wichita State – The Shockers have been the best program outside of a power conference over the past three seasons; winning 30 games in each season and including a Final Four appearance and a 35-0 start. They are just 4-4 this season, however, and went winless in Orlando over Thanksgiving weekend. San Diego State – The Aztecs are back-to-back Mountain West regular season champs, having won at least one game in four of the six straight NCAA Tournaments they’ve made, but have already taken losses to Arkansas-Pine Bluff and low-major city rival San Diego and sit at 7-4. VCU – The Rams differ from the rest of this group in one key way: they have a new coach in Will Wade. VCU is 5-3 to start his tenure in Richmond. Harvard – Five consecutive Ivy League championships, four straight NCAA Tournament appearances… and now just 3-6? Northeastern, UMass, Boston College and Holy Cross have relegated the Crimson to the fifth-best team in their own state. #17 – Where Sunflower State Champs Happens. Time to recognize the Irish. It seems inconceivable that an ACC championship team could fly under the radar, but that is what Notre Dame has done for much of this season. While they were probably only the third best team in the ACC during the regular season, their ACC Tournament title was no fluke. The Irish might not get a ton of attention because they lack the name brand appeal in basketball that many of their ACC colleagues have — and to some degree they lack a recognizable star even if Jerian Grant is an All-American — but they have a good mix of experience, athleticism and size. That might not be enough to win on Saturday, but don’t be surprised to see this team in the game late. Take a minute to recognize Wichita State. Even though this team isn’t close to what it was last year, the Shockers managed to advance further than they did then thanks to a more favorable draw. We aren’t sure what Wichita State will bring back next year (primarily whether Gregg Marshall will return), but it has been a remarkable three-year run for the Shockers. They went to the Final Four in 2012 and nearly knocked off the eventual national champions. Last year they went undefeated for 35 games before running into an underseeded Kentucky team that was peaking at just the right time. This year was a bit more of a struggle than some may have expected, but they might have pulled off one of the most satisfying victories in the program’s history last weekend when they knocked off a Kansas program that refuses to play them in the regular season. 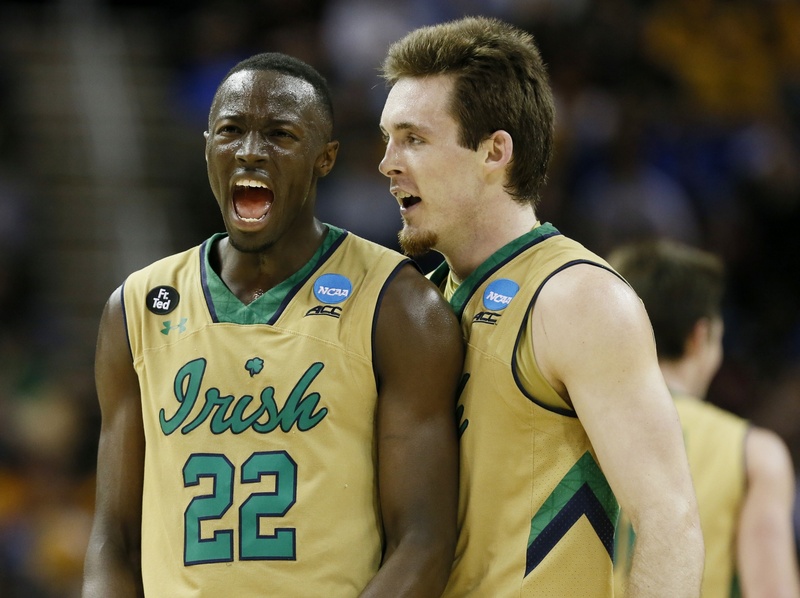 The Irish are more than just Jerian Grant. As we mentioned earlier, the Irish probably have not received the respect they deserved this season. Grant has garnered some attention thanks to his family tree and some of his Vine-worthy highlights, but this team is a lot more than just the Jerian Grant Show. Zach Auguste provides a solid piece in the middle even if Saturday could be rough with Kentucky. Demetrius Jackson and Pat Connaughton both had big games for the Irish as well. All of them will need to have huge nights on Saturday if they hope to advance. Star of the Game. Demetrius Jackson, Notre Dame. There were so many ways to go with this today, which speaks to how well the entire Irish team played. We will go with Jackson, who almost played Fred VanVleet to a standstill (or maybe even outplayed him) with 20 points on 10 attempts while VanVleet scored 25 on 20 attempts. VanVleet needed to dominate for the Shockers to win this game, but he might have been outplayed by Jackson tonight. Wichita State wanted it more. If you tuned in to the game at any point during the action today in Omaha, this was plainly obvious. Kansas, loaded with NBA-bound talent, simply acted like it didn’t feel like playing very hard today. A lot of that should fall on head coach Bill Self, who was unable to coerce any sort of fire or emotion from his guys. For a week now, the nation had anticipated this Sunflower State battle that the Selection Committee so generously mapped out for us, and still the Jayhawks had trouble amping up. 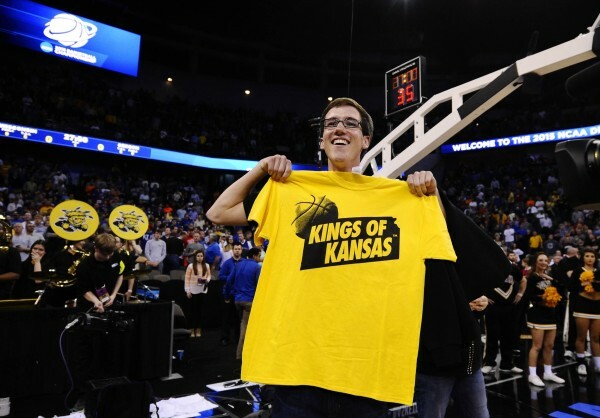 But do NOT get caught up in thinking that an “underdog” Wichita State team somehow toppled a Goliath in Kansas today — it didn’t. Wichita State is incredibly talented and well-coached, which makes Kansas’ lack of total effort that much more disappointing. Fred VanVleet is one of the best point guards in the country. 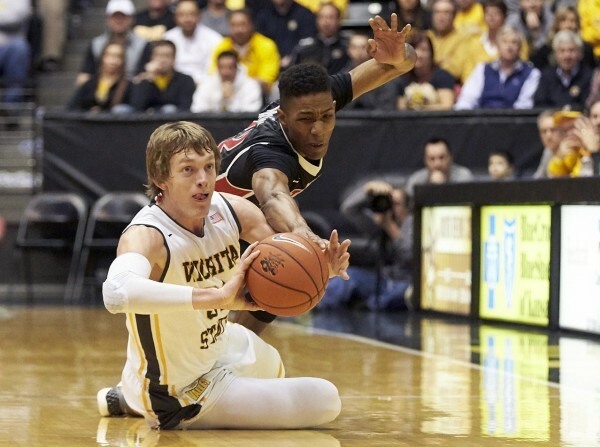 Ron Baker and Tekele Cotton are vastly underrated sidekicks, and the Shockers’ bench is more than formidable. Good luck getting on Kansas’ schedule now, Shockers, because this only furthers the notion that the Jayhawks have nothing to gain from playing their intrastate rivals from the MVC. If you know where Wayne Selden or Kelly Oubre are, give Bill Self a call. Kansas’ team is loaded with excellent players but it shouldn’t be a stretch to ask Selden and Oubre to perform like the future NBA players that they are. They were nearly nonexistent today. Selden was 0-of-5 from the field and committed two turnovers, with his only positive contributions coming in the form of one offensive rebound and one steal. Oubre found some life late in the game, as he finished with nine points and three makes from the free throw line. Still, he went 3-of-9 from the field and was hassled constantly by Wichita State’s wings, never finding a clean look at the rim. When Frank Mason fouled out of the game late in the second half, Self put in Svi Mykhailiuki over his future pro, Selden. Mason, Ellis and Devonte’ Graham carried the load for the Jayhawks, and we’ll never know just how different the game may have gone if Selden or Oubre had done anything. Star of the game. Evan Wessel. The Shockers’ “garbage man” had to deal with former high school teammate Perry Ellis in the post all game long, conceding 17 points to the Jayhawks’ big man. Keep in mind that Ellis has more than four inches on him, though, and that Wessel still grabbed nine rebounds to Ellis’ total of eight. Wessel only scored 12 points, all of them coming from the three-point line, but each shot was a mini-dagger to the Jayhawks’ hopes of mounting any sort of comeback. #6 – Where A Valiant Pursuit of Perfection Happens. Three weeks until games start for real and it’s time to dig into the upcoming college basketball season. The RTC Podcast is back in earnest, with Shane Connolly (@sconnolly114) hosting, and the guys spend nearly an hour discussing the key storylines on teams, players and the game as a whole for the upcoming year. There’s also a brief introductory interlude on the shenanigans that went on in Chapel Hill for the better part of a generation, but the majority of this podcast puts that aside and looks forward. The complete rundown is below, so feel free to bounce around as needed to get the spots you’re most interested in, and make sure to listen toward the end to win a free RTC t-shirt if you can get the right answer to the question we posed. Over the coming weeks we’ll be releasing conference preview podblasts for each of the seven major leagues as well as the Other 26, so keep an ear out for those as well. Also, if you’re new to the RTC Podcast or simply need to refresh your subscription on iTunes, don’t hesitate: every episode can be found here!